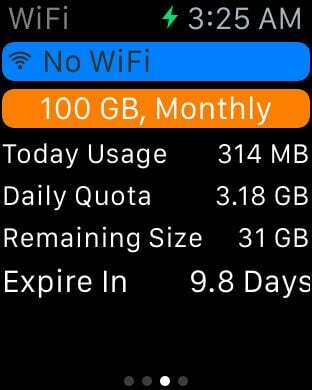 DataCare is a WiFi/3G/4G data usage monitor to help you know current 3G/4G data usage to prevent from exceeding data plan. It collects data usage from iOS without connecting to wireless service provider, and it works for all wireless service providers, such as AT&T, T-Mobile, O2, Vodafone, NTT DoCoMo, Telstra, etc. 1. 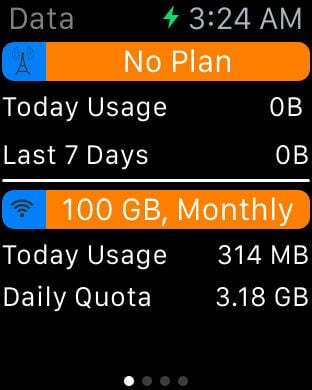 Data usage chart: You can analysis data usage in different view: daily, weekly, period (period data plans). 2. Geolocation data usage: Recording data usage and geolocation data to help you review data usage in map. DataCare will apply background location tracing, in default, you can turn-off it in *Settings*. 3. Multiple data plans: You can create many data plans while keeping original data plans. For example, setup new data plans for your vacation. 4. 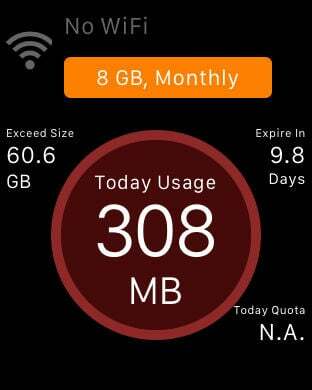 Usage prediction: According to current data usage, it calculates the possibility of exceeding data plan. You could arrange the daily wireless data usage carefully before the next billing cycle. 5. Account management: a simple account management tool to store your WiFi account and password. DataCare will track your location in background, it dramatically decreases your battery life, you can turn-off/(on) this functionality with *Settings* => *Trace location in background*. *Continued use of GPS running in the background could dramatically decrease battery life.